I am one of those people who believe money is simply a useful tool and it must be in circulation for the economy to be healthy. Since money isn’t moving, but just accumulated, there is no healthy economy. Some might jump the wagon and say that money is not really accumulated, but it is used in investments, that in essence keeps the money circulating. Theoretically that is exactly what should be happening. It isn’t. Not even close to a percentage where a healthy economy can be created. What is really happening is that we have money being pulled out of the real economy and used for gambling that has no effect other than keeping the economic and political elite in charge. It is time to distinguish between what we think the correct implementation of our views will create and what really happens from their erroneous one. It isn’t that we are not feeding the system enough. It is that we are feeding the wrong system. One more wrong move, is the creation of 1 trillion euros of new money that, instead of going to the citizens of Europe, will fund the banking sector in its gambling game once more. Is there anyone who believes there will be an average gain of 5000 euro per European Citizen from this new money (the amount divided by the population)? 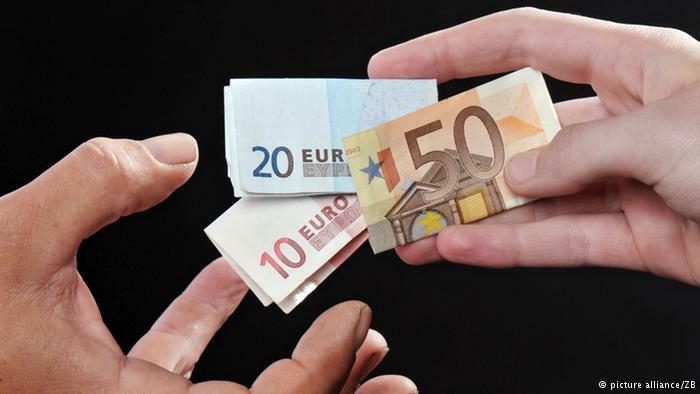 Is there anyone who believes there will be a gain of even 500 euros per European Citizen from this new money? If we don’t believe the gain will be dispensed, then why create new money? To increase the deposits of a few people in Swiss banks, or the international Funds? Because this is what will happen if this new money goes to the same people that created the crises in the first place. What do I propose? A part of the money, if not all, should go directly to the European citizen. Let him decide how to use it. Let’s dare try something “new”. Posted on February 9, 2015 by vaspervnp@yahoo.gr. This entry was posted in Article and tagged Basic Income. Bookmark the permalink. « Formulating policies vs populism.